Sometimes, as the week draws on, it’s hard to remember that you need to stop and breathe. Morgan Harper Nichols is like that deep breath you take after dealing with overwhelming stress. In all that she does, whether through her words or her actions, she leads with grace. It’s a message she shares with her followers. Nichols is an American artist, writer, musician and woman of color who also battles Tourette syndrome. Her career started as a college admissions counselor before she took to touring as a singer and songwriter. She draws inspiration from the battles and achievements of others. Nichols works on a project started in 2017 in which she urges listeners to submit their personal stories. She creates art based on her perception of those stories. Nichols then gifts it to the contributor free of cost. 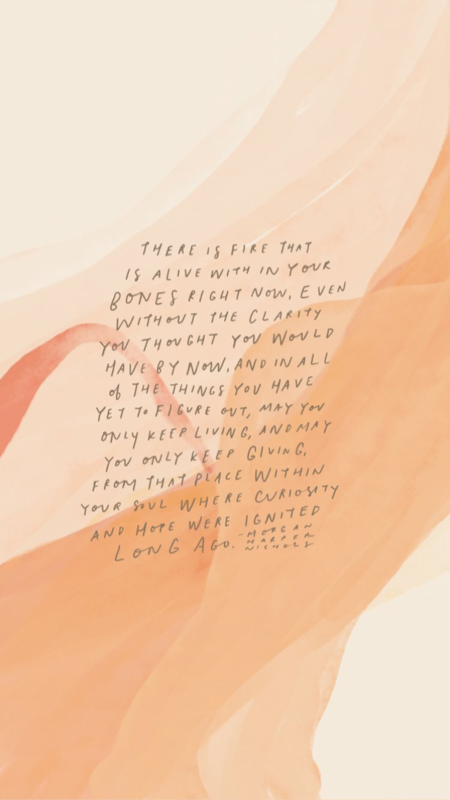 Nichols creates digital art using her own words, posting them to her personal website and Instagram account for her followers to draw daily inspiration from. “Every day, I make art and write words for free as a daily practice of generosity,” Nichols said in her Instagram bio. Her artwork bursts with color and life. It’s the perfect size to fit a phone background and the perfect message when hit with the sudden desire for motivation or reassurance. In essence, her message is to live a life filled with small moments that fill your heart. It encourages people to live for the journey, not the chase of goals. And there can never be too much positivity in your day. Reading a Morgan Harper Nichols quote or listening to a song is a quick way to get an extra dose. Taylor is a sophomore at the University of Florida studying all things journalism. You'll probably see her venturing around Gainesville with a camera and a good book, and she'll probably stop to say hi to your dog. She is also a proud plant mother, a tea junkie, and a creative writer. Get to know her better on her Instagram and on her blog, Taylor Is.